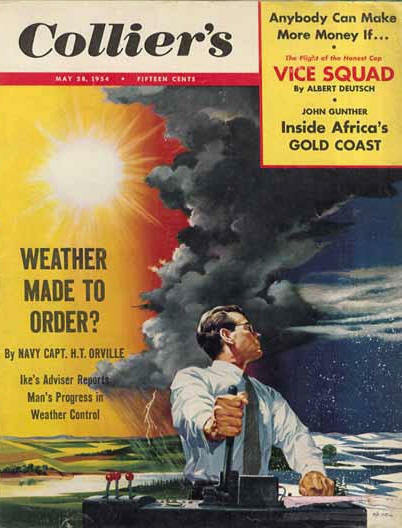 Although Hersh claimed that the program – which he identified as Operation Popeye – was ‘the first confirmed use of meteorological warfare’ there was a back-story and a history. 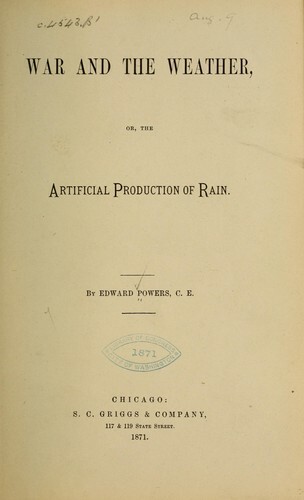 In 1872 the US Congress authorised the Secretaries of War and the Navy to test the relationship between artillery fire and rain propagation proposed by Edward Powers in his War and the weather (1871). 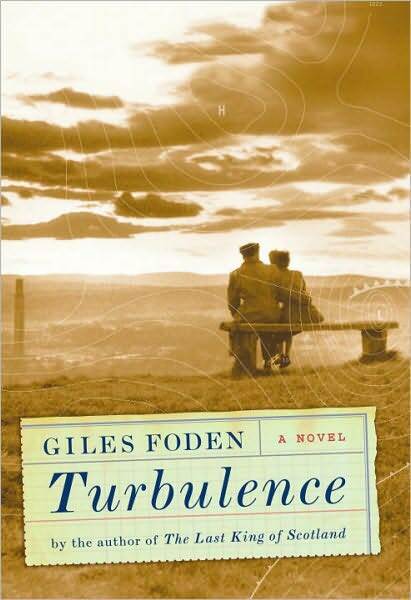 Experiments in rainmaking continued into the twentieth century, but the military interest in weather and war was primarily concerned with the adverse effects of the one on the other: most famously in planning the D-Day invasion of Normandy (see here and here, and Giles Foden‘s novel, Turbulence). Not surprisingly, results were at best equivocal, but Fleming argues that ‘weather modification took a macro-pathological turn between 1967 and 1972 in the jungles over North and South Vietnam, Laos and Cambodia’. 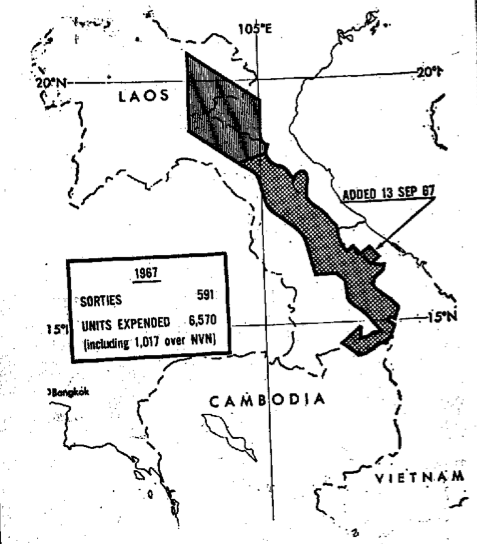 It was part of what John Prados (The bloody road: the Ho Chi Minh Trail and the Vietnam War, Wiley, 1998) calls the ‘wizard war’ waged by the United States to disrupt the main supply lines running from North Vietnam along the Ho Chi Minh Trail (or Duong Truong Road) through Laos and Cambodia to South Vietnam; other projects included the ‘electronic battlefield’ whose acoustic and seismic sensors detected movement along the trail network and triggered air strikes on target boxes (see ‘Lines of descent’, DOWNLOADS tab). 56 pilot ‘seedings’ were carried out as Operation Popeye, and the military concluded that this was such a ‘valuable tactical weapon’ that the program should be continued over a wider area. According to Milton Leitenberg, in an unpublished study of Military R&D and Weapons Development prepared for Sweden’s Ministry of Foreign Affairs, in November President Johnson’s Scientific Advisory Committee came down against the military use of rainmaking techniques for both technical reasons (the results were inconclusive) and political ones (using meteorological techniques as weapons might jeopardise international scientific collaboration). 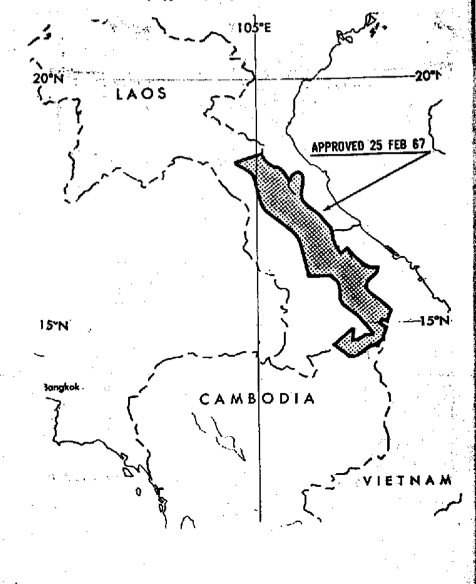 But in December the Joint Chiefs of Staff submitted three plans for future military operations in Indochina to the President, and all three involved extending Operation Popeye to ‘reduce trafficability along infiltration routes’. 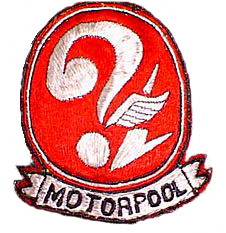 I kept hearing the call sign “Motorpool” used by two of crews in the 14th. When I inquired what they did, I got the usual reply that it was Top Secret and no one knew. I knew the crews and they wouldn’t say zip. This grows on a guy, and I had to find out what was going on. So, dummy me, I volunteered. Well, in a little while I was interviewed and told they would get a higher security clearance for me. In a few short weeks and I was told to come to Motorpool Ops for a briefing. (I found out later that friends and relatives in the states were contacted about me). The Lt Col in charge said the room had been swept for monitoring devices, etc., and I had one last chance to withdraw my volunteer statement. I had fleeting thoughts of flying over China, working for the CIA, you name it… but what the heck. I signed the statement and found out that I was going to make rain! Geez! I thought they were kidding! 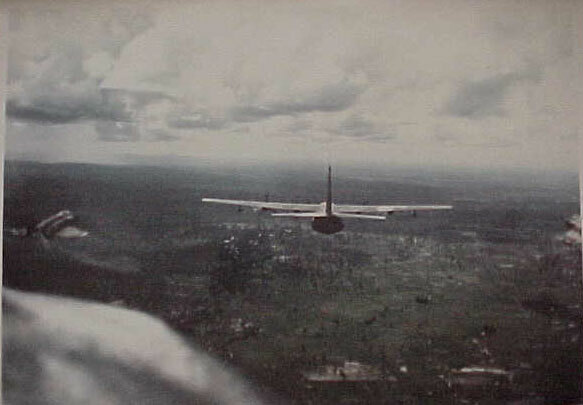 By the time the operation was ended 2,602 individual sorties had been flown. 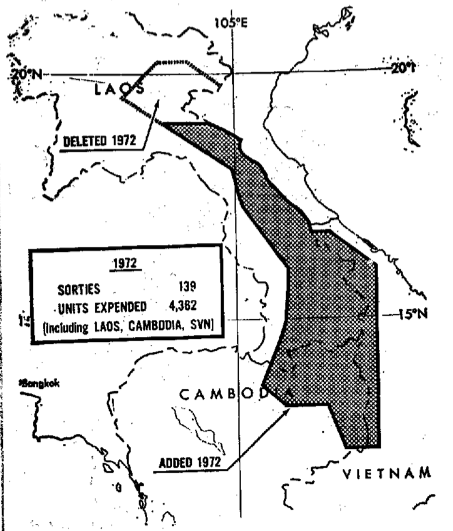 Prompted in part by a Senate resolution in 1973 that urged the US government to secure an international agreement outlawing ‘any use of an environmental or geophysical modification activity as a weapon of war’, and by the public release of the transcript of the secret Congressional hearings in 1974, the UN General Assembly adopted the Convention on the Prohibition of Military or Any Other Hostile Use of Environmental Modification Techniques (or ENMOD) in 1976. It came into force in October 1978: more here and here. 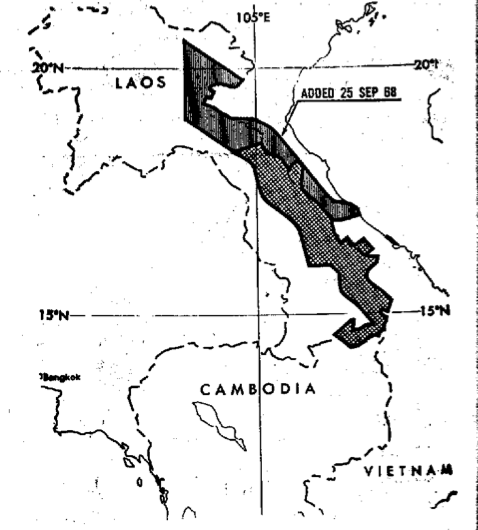 There were, of course, other, better known and hideously more effective versions of ecological warfare in Indochina: defoliating huge swathes of mangrove and rainforest with Agent Orange and other chemical sprays, and bombing the dikes in North Vietnam. But these weather operations, which combined minimum success with scandalous recklessness, now have a renewed significance. As late as 1996 the US Air Force was still describing weather as a ‘force multiplier’ and, by 2025, planning to deploy UAVs for ‘weather modification operations’ at the micro- and meso-scale so that the United States could ‘own’ the weather (strikingly, there is no discussion of any legal restrictions). But today the equation has been reversed, and the US military has to contend not only with its projected capacity to change the weather but also – as I’ll discuss in a later post – with the effects of global climate change on its operations. 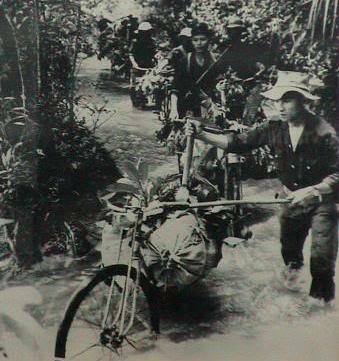 This entry was posted in nature, Vietnam and tagged ecological warfare, Ho Chi Minh Trail, Operation Popeye by Derek Gregory. Bookmark the permalink. 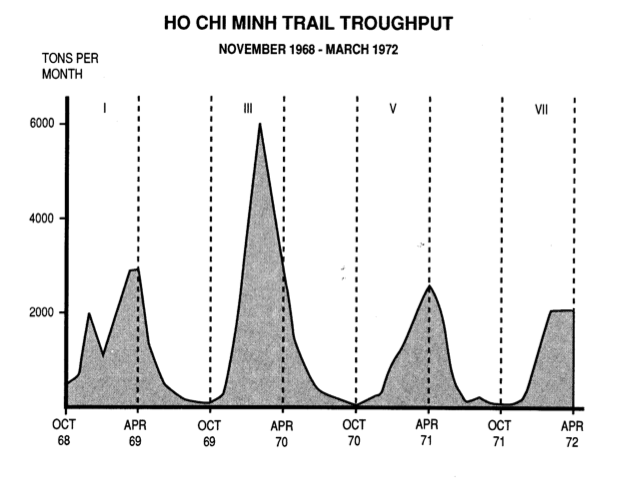 Although seemingly more like something from a slapstick comedy movie, more finely targeted efforts to achieve the same ends included the Riotrol brand “banana peel,” a slippery substance that was applied to the so-called Ho Chi Minh Trail in order to interdict shipments. This particular substance, as well as others, including the opposite (a super-sticky glue-trap type of concoction), came to be investigated both for overseas use and domestic law-enforcement use. In Seth Rosenfeld’s book Subversives, which has been receiving a lot of attention, the banana peel gets a mention. He says the Chicago police tried it out, a claim supported by other research I’ve done. It seems like interfering with the weather or targeted application of a particular chemical, one terrifying and one silly, are both on a spectrum of tactics that grew out of the fundamental belief that the war would be won through the prevention of outside interference. It just didn’t seem to be possible within the dominant worldview that the causes of the fighting were more internal, not due to external communist infiltration and subversion, and that the real outside interference was that of the US.